Jacob’s Ladder is a biblical reference to the story of Jacob, who dreamed of a ladder to heaven. This plant’s leaves branch in an opposite fashion and appear like rungs on a ladder. The small (1/2-inch) purple or bluish (lavender) flowers grow in clusters and have a bell-like shape with protruding stamens. 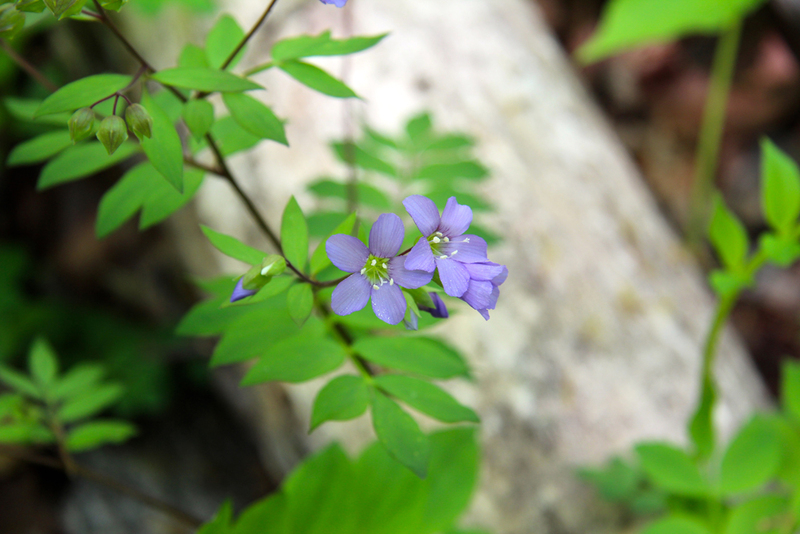 The plant grows in moist woods and along streams; in southern VIrginia it can be found flowering in April and May. There is both a native Polemonium and an “escaped” Europeon variety that is widely found in wild places. This plant was used historically to treat ailments of the respiratory system. It is also known as Greek Valerian.